It's a Bird...It's a Plane...It's Suppa Man!!! Another pose from the original Suppa Man, flying on the skateboard :D.
I recently extended my range of zombie characters on the lead up to Halloween 2013. Adding zombified scientist, trucker, hoody, beef cake, inmate, nurse in scrubs, biker and a lone survivor. Made a new deco for Jakal... Dalmatian! Hello My name is Vadim Dashchynski . I'm doing little cartoons with 3D characters such as this: http://youtu.be/r30EBV-bw_Y . As you can see, this is usual Paper toys. 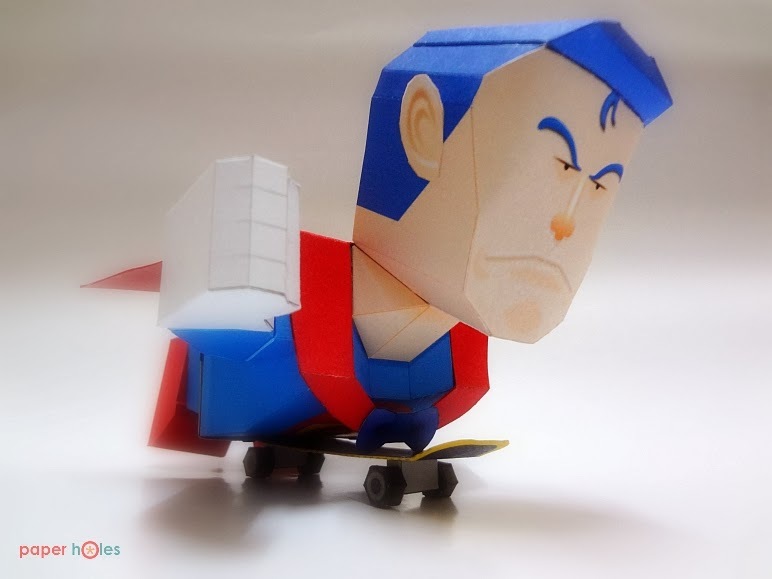 Want to animate your paper toys - ask me how. Let us work together ))).